The Schrade Viper, assisted-opening folder opens sideways with a mechanism Schrade calls side assist. 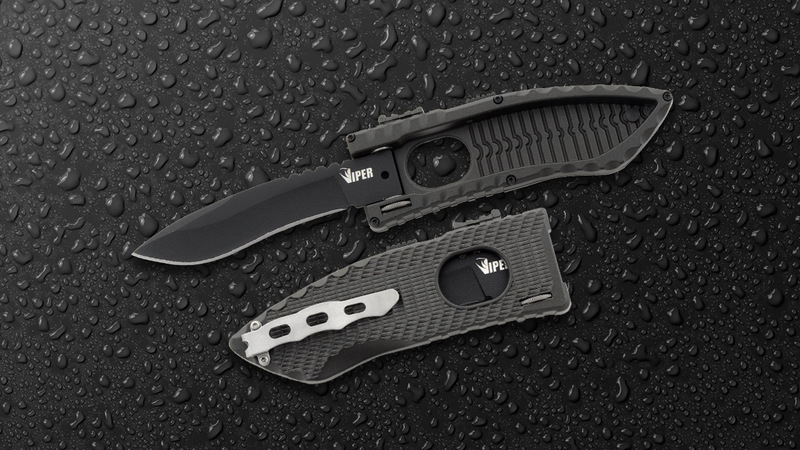 In a sea of assisted flippers and thumb studs, the Viper both looks and feels unique. First, the Viper’s blade folds horizontally into a cavity in what appears to be half a handle. 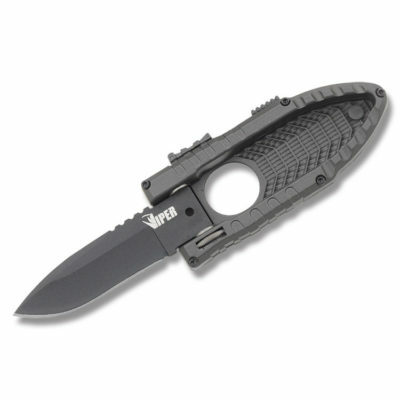 An oval hole in the center of the anodized aluminum handle allows the user to activate the spring assist by slightly pushing on the blade through the handle. 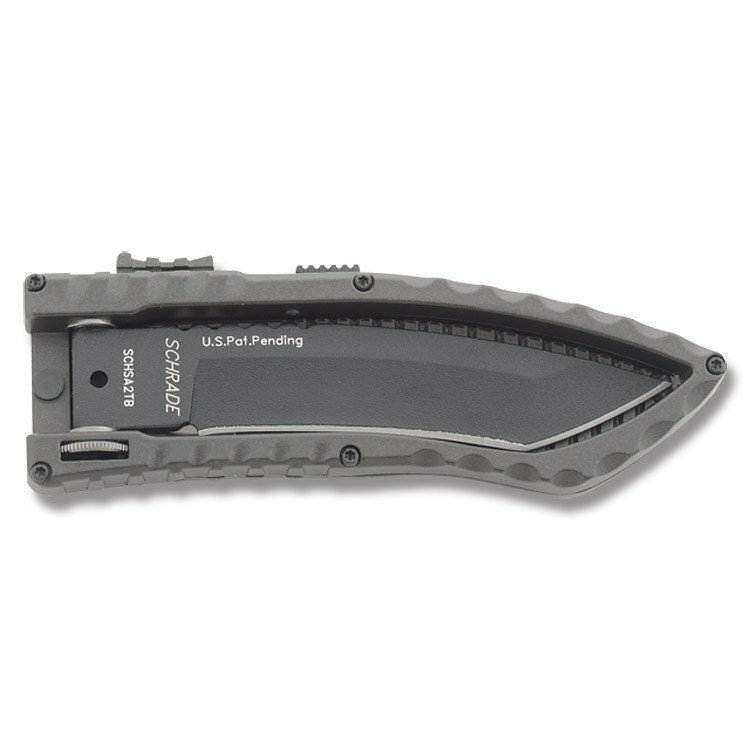 Slip the safety switch to the active position (red dot), give the blade a push through the handle hole with your index finger, and the blade will flip open. The Viper’s spring assist is quick and responsive. It uses two different switches for a safety and lock. They are different enough to not mix up, but I do wish they weren’t so close together. The positive to the location of the buttons is that it makes the Viper easy to use with just one hand, but mind your P’s and Q’s while you’re closing this one. 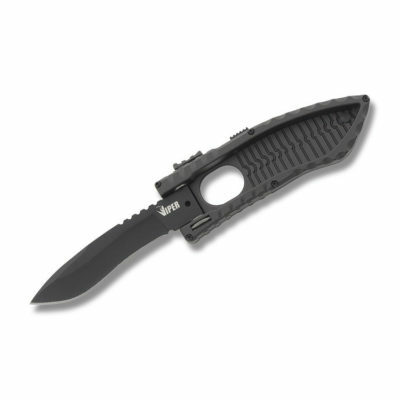 You’ll find you might just scrape a knuckle or two in the process until you get used to it. The Schrade Viper comes in a variety of blade configurations for just $12.99 at Smoky Mountain Knife Works (smkw.com). You can see them all by clicking the button below.